With expert knowledge, solid experience and positive motivation, Personal Training Professionals of Southport can help you reach your full fitness potential. Are you more comfortable with a gentle or demanding exercise program? Do you prefer to at home or at PTP Southport's fully-equipped facility? How often would you like to meet with your personal trainer? What type of personality and qualifications do you expect your trainer to possess? Is your goal to improve your flexibility and strength for a specific sport or for personal growth? Are there any health concerns or special medical needs that you would like to stress in your regimen? Do you have a goal to lose weight or become more trim? 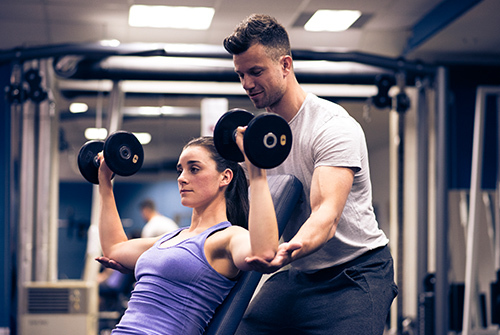 Individuals have a variety of reasons for requiring the services of a certified personal trainer. It is up to you to decide what your fitness goals and expectations are so that when you meet with us we can select the perfect health professional to make your program a success.